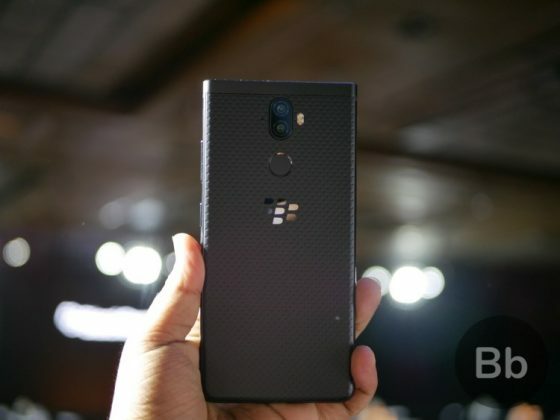 Just a week after launching the flagship BlackBerry Key2 smartphone in India, Optiemus Infracom today unveiled two new premium mid-range smartphones – BlackBerry Evolve and Evolve X – in India. Let me start off by saying that BlackBerry Evolve and Evolve X are quite light and feel comfortable in the hand. The Series-7 aluminum frame and the soft-touch back panel give the device a stealthy look and make holding it a delight. 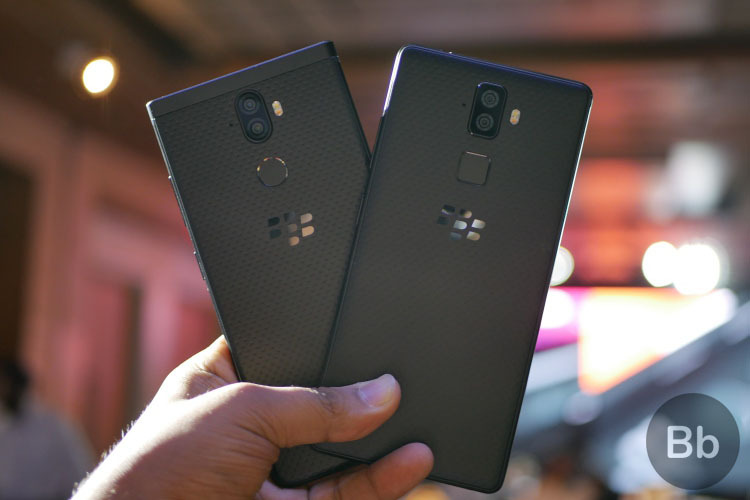 Coming to the front, both the Blackberry Evolve devices pack a huge 5.99-inch Full-HD+ IPS LCD LTPS display with 1080 x 2160p resolution. The screen seemed quite bright (in line with the company’s 500 nits claims), with good color reproduction, in the brief time I spent with it. 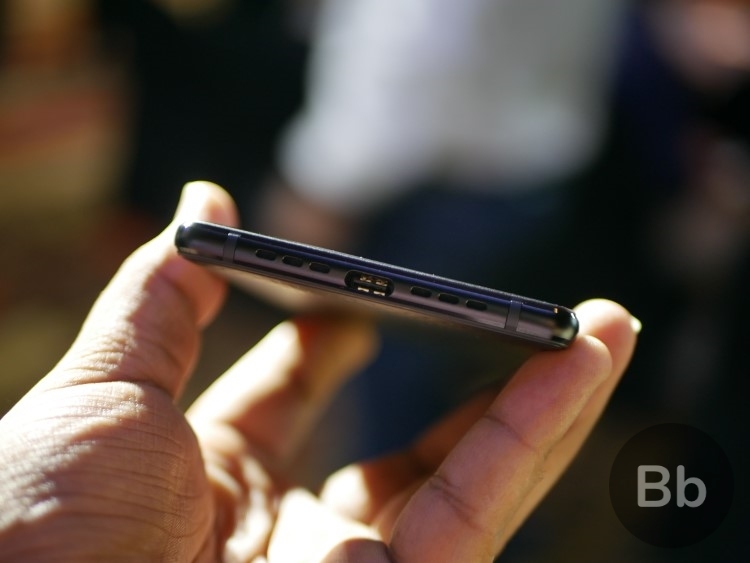 It has sizeable bezels, with the earpiece, front camera and sensors at the top and the BlackBerry branding on the chin at the bottom. 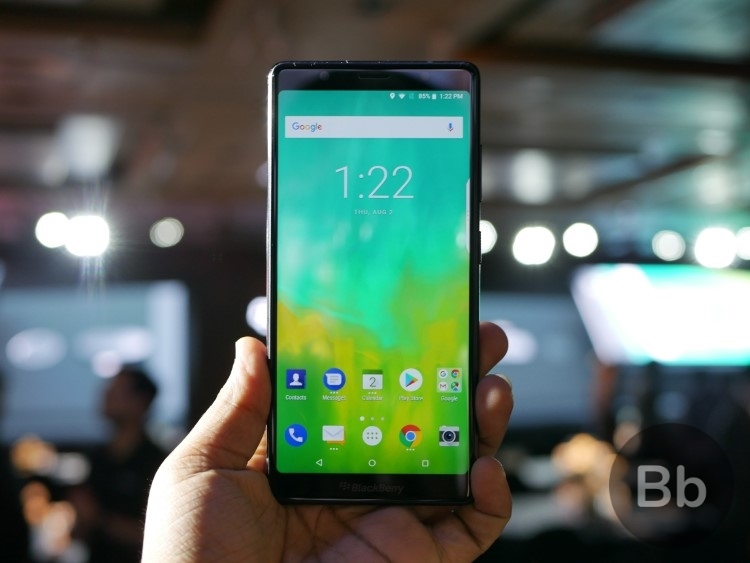 Though the device now has the modern 18:9 screen, the device isn’t too huge to handle and feels quite light. The vertical dual rear cameras and the fingerprint sensor sit at the center top of the rear panel and I am not the biggest fan of both. The camera bump is quite significant and the fingerprint sensor was hard to find as its texture was similar to the rear panel. However, to sum it all up, I really liked the build quality of the BlackBerry Evolve lineup, including the textured power button and rear panel. 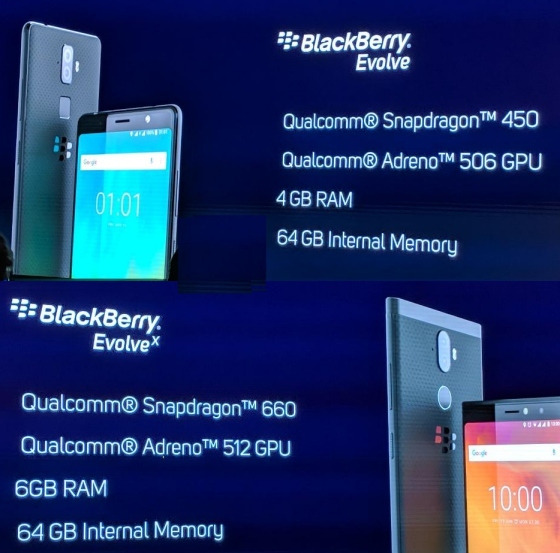 The BlackBerry Evolve is powered by the Snapdragon 450 chipset (also seen on the sub-10k Redmi 5), paired with 4GB RAM and 64GB internal storage, whereas the Evolve X sports the Snapdragon 660 chipset (that also backs Xiaomi Mi A2 and Nokia 7 plus) along with 6GB RAM and 64GB internal storage. The internals, for the price point, are a massive disappointment for this lineup. 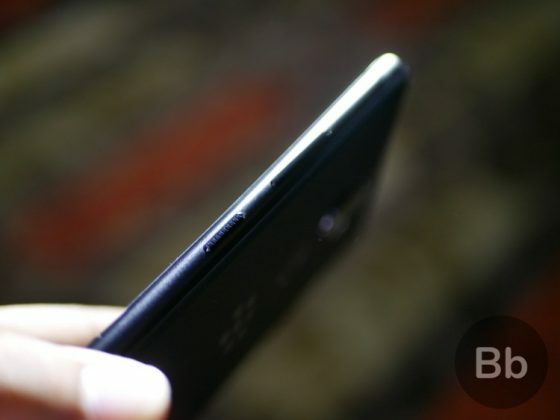 Even though Snapdragon 450 on the BlackBerry Evolve was backed by 4GB of RAM, the phone had some lag and animations looked slow. The high-end internals on the Evolve X, on the other hand, worked fine and I didn’t notice any frame drops. 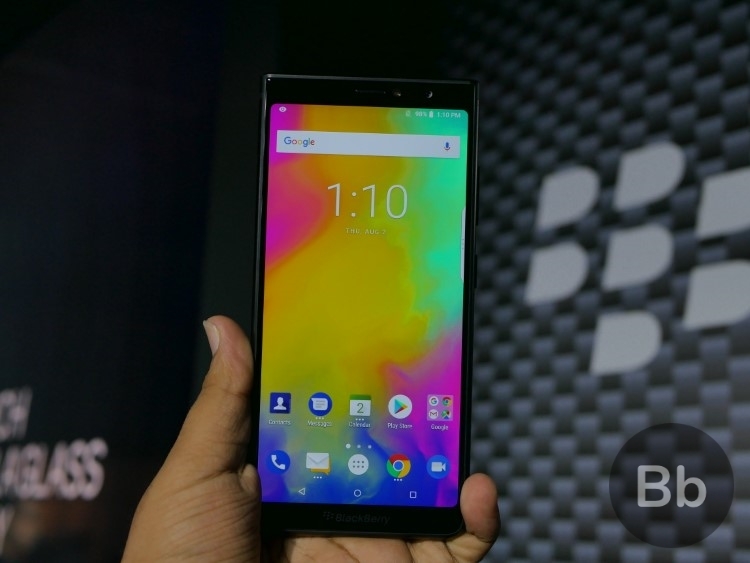 BlackBerry Evolve devices also come with a USB type-C charging port, two bottom firing speakers (with Dolby Atmos support, which we weren’t able to test) and a 3.5mm headphone jack at the top. While BlackBerry Evolve lays emphasis on security, it doesn’t compromise on the camera. 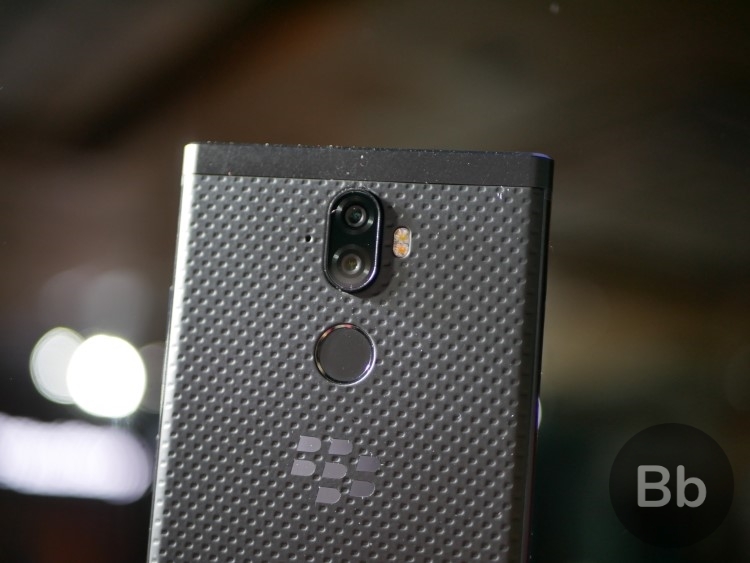 First off, the BlackBerry Evolve features a 12MP+13MP dual-camera system, with a f/1.8 and f/2.6 aperture respectively. The pixel size is 1.4 um and 1.0 um respectively in these cameras, which features a 6-piece lens. The Evolve X, on the other hand, sports a 13MP RGB + 13 MP monochrome setup, with a f/2.0 aperture for both lenses. 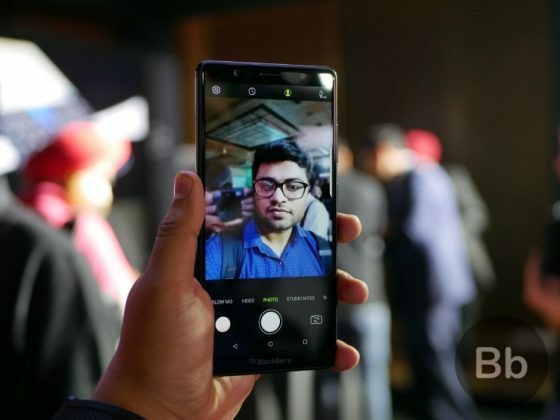 Both the devices also feature a 16MP front camera, with a f/2.2 aperture and 78-degrees FOV to cater to your selfie and social media needs. I didn’t get to fully test out the rear cameras on the new BlackBerry devices, but photos turned out to be well-lit and sharp, even in the dimly-lit event hall. And, even though the company officials said that the camera app wasn’t ready for prime time yet, it worked fine and I didn’t notice any focusing issues or shutter lag on the BlackBerry Evolve. 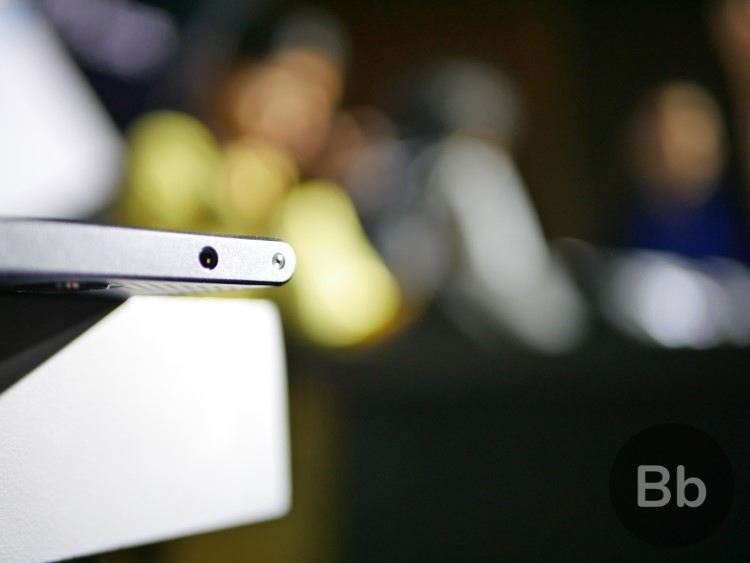 Both the devices also sport a real-time bokeh mode and it works as advertised. You can choose between 3 intensities (low, medium and high) and click a portrait mode photo, which you can then tap to refocus on different objects in the photo. The studio mode, with all the beauty effects and slender mode, wasn’t my cup of tea though. Note: We weren’t able to test out the cameras on the Evolve X as the app on this device wasn’t accessible to the media. 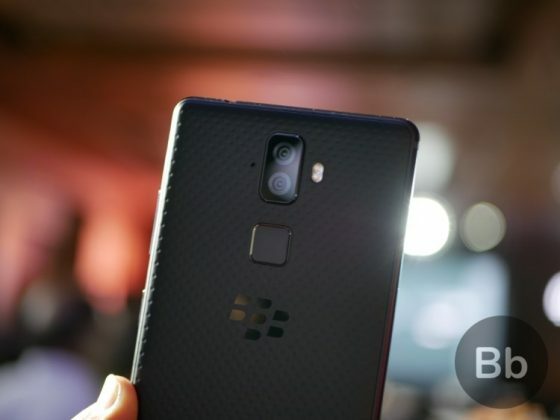 BlackBerry boasts that its version of Android is more secure because it comes with root protection, OS hardening, secure boot, and other underlying security provision in tow. I know all of these jargons may be too taxing for new users, but it’s good to see the company being concerned about the privacy of the users, and data security. You still get the usual collection of BlackBerry security apps, such as their password manager to let you easily manage your passwords or generate strong ones, Privacy shade to not let other read your screen from over the shoulder and DTEK by BlackBerry to help you keep an eye on your device activity. Though the UI experience was not all that great, I did take a liking to their BlackBerry keyboard, which was complete with gestures and flick typing. And me being a fan of dark themes, I also like that the company has baked a dark mode into its custom Android OS. The BlackBerry Evolve has been priced at Rs 24,990 and will go on sale towards the end of August whereas the Evolve X would retail at Rs 34,990 and go on sale in mid-September. 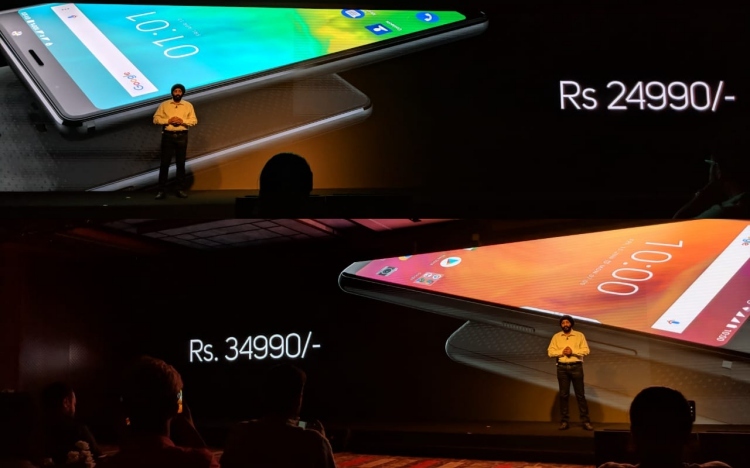 Both the devices have steep prices, such that you can even buy flagship Snapdragon 845-powered phones in this price range. This greatly limits the potential of these phones. I mean, there’s surely a niche for it but Optiemus may find it difficult to reach the hordes it’s targeting this year as it looks to hit 10 percent market share.